I have decided to participate in the 15 Days of Screenshots challenge featured on World of Saz. I've thought of doing so for quite a while already, but now that I'm spending my days doing more than just playing WoW, I don't come up with as much things to write about (boo real life! ), so it's a pretty good time to do something like this. Since I'm pretty sure endless cries regarding guild worries would be pretty depressing to read. I had a drastic change in my gaming equipment about eight months ago, but I'm glad I took the time to save all the old screenshots before emptying the older PC. I'm sure the difference in graphics in some shots will be notable, heh. 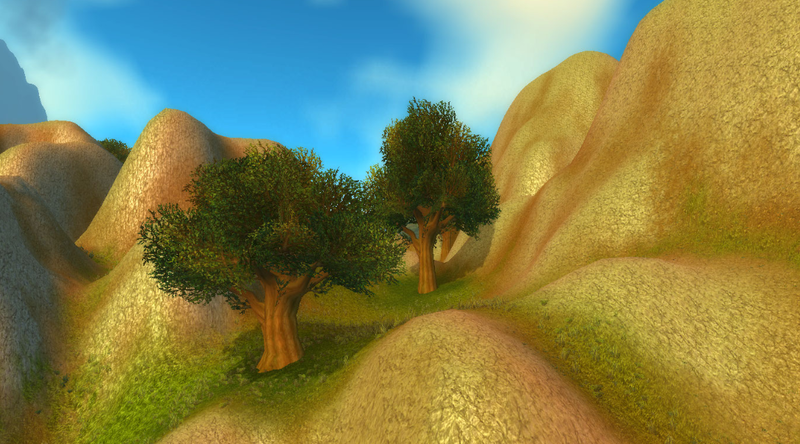 Out of a several options I chose this spot - a ledge with a couple of trees, located behind Stormwind Keep. I could have chosen something more interesting, but the amount of emotion that has come out of me in that spot is great, therefore I ended up with this one. 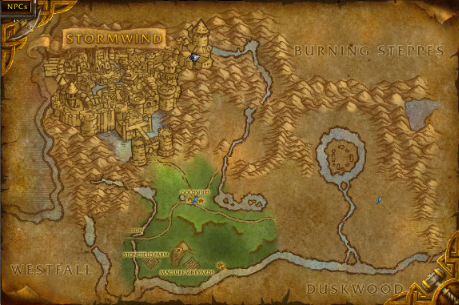 It's one of the most important spots of Cataclysm to me personally. Don't worry, the other shots will be a bit more interesting visually! 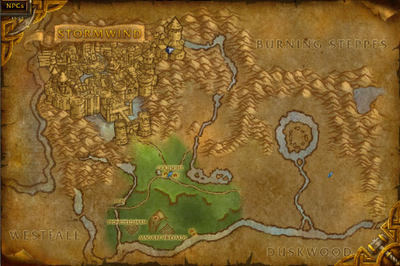 I do believe that in particular spot is VERY popular amongst the ERPers of my server (Argent Dawn EU). Always two (or more...) TotalRP flags going off in that area, pretty much at any given time. Usually the same people, too, and if you do a fly-by, they'll be sitting there naked and doing their thing in /p. I mean, I'm sure they're just doing laundry, but... every day?! But I do have respect for ERPers who keep it in /p and /w, although it makes it much less entertaining for the others. Mh, I don't have anything against ERPers, it's just the obvious aspect that is so amusing to me, especially since some of them are very vocal about "WE DON'T DO IT, NO NO NO". Again I failed to use the 'reply' button. I think the most reasonable thing to do is just report the people when you encounter public ERP. I didn't do so until I was reported for harassment for afking in a quest hub that was apparently reserved for public ERP. Well, at least people RP around there then! I mainly play on Moonglade and there is little RP to be seen unless you know the right people. We have a few notorious players who've come from Moonglade... does the name Shonn ring any bells? It doesn't, sadly. They might have left before I really got to know the community at all.